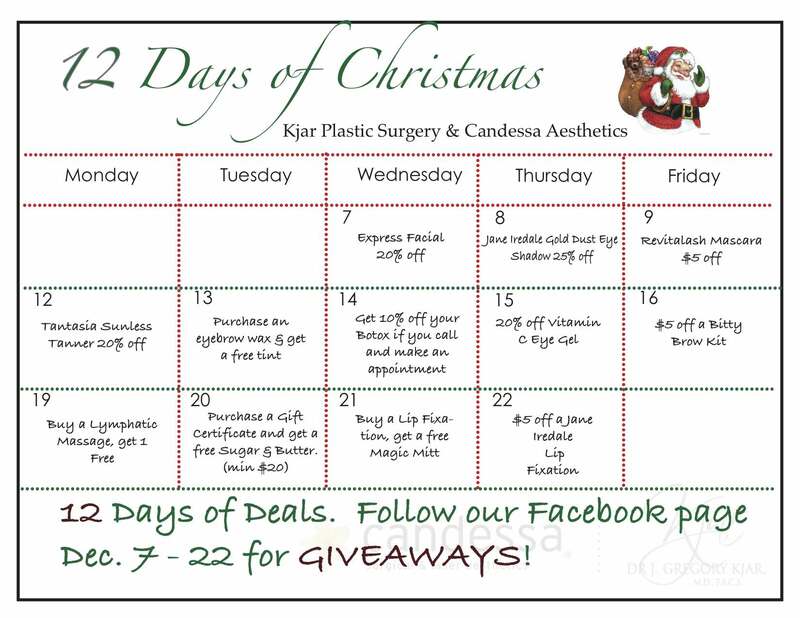 For the next 12 days, our office is doing a really fun “12 days of Christmas Promotion”. For the next 12 business days, we will have a special offer EVERY SINGLE day. 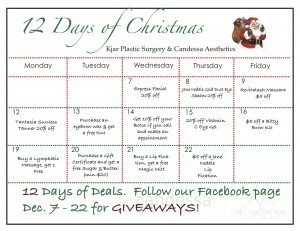 The offers are amazing and we are excited to give you this great gift right before the holidays. Remember that these are great stocking stuffers, great gifts for loved ones, or a great time to stock up on something that you’ve been wanting for yourself. We all want to look great just in time for those holiday parties! Browse through our calendar to see which deals you may want to take advantage of. Make sure to call or visit our office that day to purchase that product or treatment. If you can’t make it in, call and pay for it over the phone and we’d be happy to ship it to your home for free. Introducing our New Candela Laser!